At Clontarf Orthodontics, we help patients achieve a perfect smile using a wide range of the most modern braces available today. Braces are not just for kids anymore! We offer a variety of treatments that are designed for different age groups including adults here at Clontarf Orthodontics Dublin 3. A new smile can begin today. Orthodontic treatment at later stages in life can dramatically improve your personal appearance and self-esteem. We have treated many patients in their mid to late 60s….Its never too late. The good news is that the new techniques and appliances we use greatly reduce discomfort and the frequency of visits, shorten treatment time and may allow you to choose from several options. Your options may include metal braces, clear braces, invisible braces or transparent aligners. During your initial examination we outline the treatment plan, estimated treatment time and the approximate cost. A large percentage of our patients are adults and they agree that it is never too late to improve on their greatest asset, their smile. 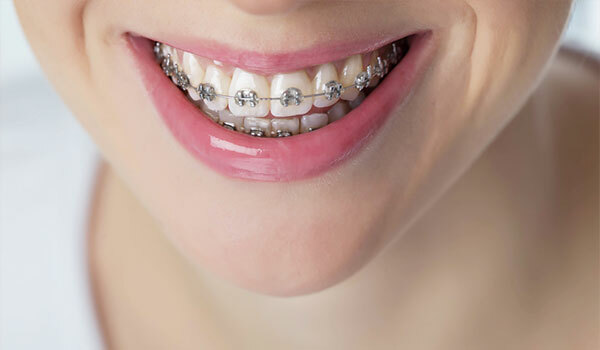 Metal braces are the most popular form of braces available today. They can be colourful or plain. We use a variety of brace systems and our orthodontist will choose the braces that are most suitable to your needs. It is now possible to have virtually invisible brace treatment regardless of your age. Invisalign is one of the aligner systems we use. We design your treatment plan and provide you with a series of clear aligners custom made for you. These aligners gradually move your teeth into their ideal position. Retainers are then worn to hold your teeth in place. 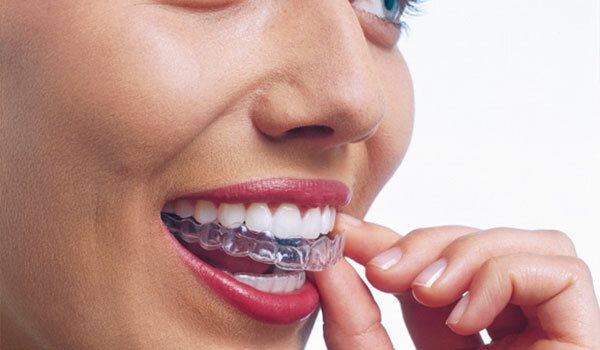 Invisalign treatment is suitable for most adults. Payment plans are available from as little as 150 euro per month. For more information visit our Invisalign page. 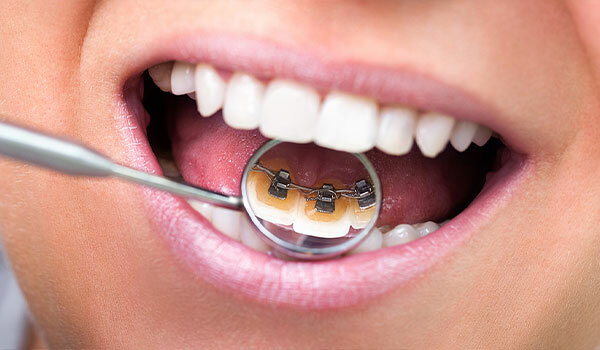 Many adults are now opting for braces on the inside of the teeth. The system we favour are Incognito™ . These are a bespoke appliance custom made in our laboratory in Germany from gold. They are the only truly invisible brace and are very popular with our adult patients. Some braces can be removed from your mouth for cleaning and contact sports. Aligners and expanders are varieties of these braces. Our orthodontist will advise you if you are suitable for removable braces. 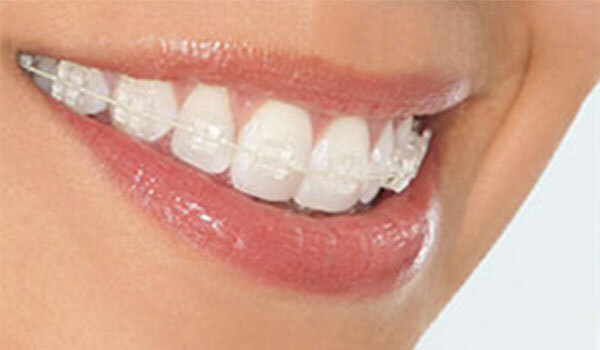 Ceramic braces are now a popular choice for teens and adults. They provide a discreet alternative to clear braces. We use a number of different systems and will discuss with you which option best suits your needs. De-bonding means taking the braces off. The moment you have all been waiting for! Then impressions for the retainers are made. The appointment takes about an hour. We clean the bonding cement that is visible, not the portion that might be below the swollen gums. The final clean up is accomplished by a hygienist appointment. Warm salt water rinses with good tooth brushing technique will help the gum tissue become healthier. At Clontarf Orthodontics we believe that healthy teeth are just as important as straight teeth. At your first appointment an assessment will be made regarding your dental hygiene and gum health. Orthodontic treatment will only be provided where oral health is optimal. This is because plaque in combination with acidic or sugary foods, if not properly washed away can cause demineralisation (brown spots) to develop on your teeth during your orthodontic treatment. During your orthodontic treatment we monitor your cleaning closely and advise you at every visit how you are doing. Regular professional cleanings with your dentist are recommended during your treatment to ensure optimum aesthetics and dental health after your brace work is completed. Shona, Thank you very much for all your work and for giving me such a lovely smile. Shona And the staff, Thank you for giving me a perfect smile! I really appreciate how kind you were throughout the process. Shona and the team, Thank you for everything over the years. Its been well worth the wait! I should have done it years ago! Dear Shona, Thank you so much for the beautiful work you did on Sarah’s teeth. We are all delighted with the end result! Thanks also to all your friendly staff. Shona, A small card to say thank you for treating me as your patient for the last year and a half. I have always had a paranoia about how my teeth look, now I need not worry so much. I will always remember the person that gave me my smile. Many thanks! Thank you for your work over the past year, it has gone by so quickly and what a result! Thanks to your staff who always fitted me in at times that suited my work and college.